Just yesterday, Verizon approved an update for both the DROID Incredible 2 and the HTC Rezound. While we still haven’t heard anything from Incredible 2 owners, we do have one Rezound owner that has already been pushed the update. Inside, there isn’t much to talk about. 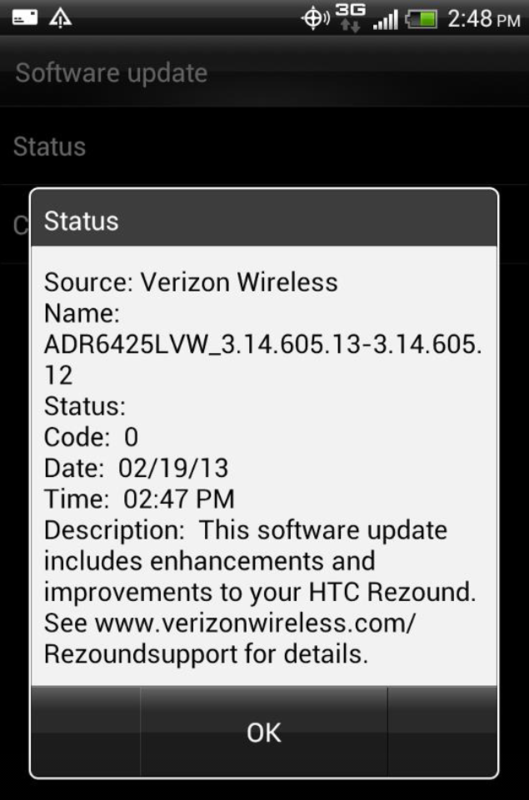 Instead, all we get from Verizon is that it brings “HTC device enhancements.” Sweet. The update is 6.9MB and will bring the phone up to build 3.14.605.13. Keep your eyes on that Rezound, folks!